The group B comprises of Argentina, Colombia, Paraguay and Qatar. Argentina had reached in the final of past two events and Qatar are currently the AFC Asian Cup champions. Similarly, Colombia and Bolivia too have strong squad. Therefore, there will be tough competition in group B on which team to go through as group winner, runner-up. The opening match of group B will be played between Argentina and Colombia on the second day of the tournament. The match will be played at Itaipava Arena Fonte Nova, Salvador. As all the four teams are equally balanced, it is difficult to predict which team will fail to go through the knock-out stage and which team will top the group B. The headache for all the three teams will be the Argentine forward Lionel Messi. If they manage to pick-pocket messi, it would be a bit easier for them. Similarly, Colombia’s James Rodriguez, Paraguay’s Fabián Balbuena and Almoez Ali from Qatar are players to watch out for in the Copa America 2019. 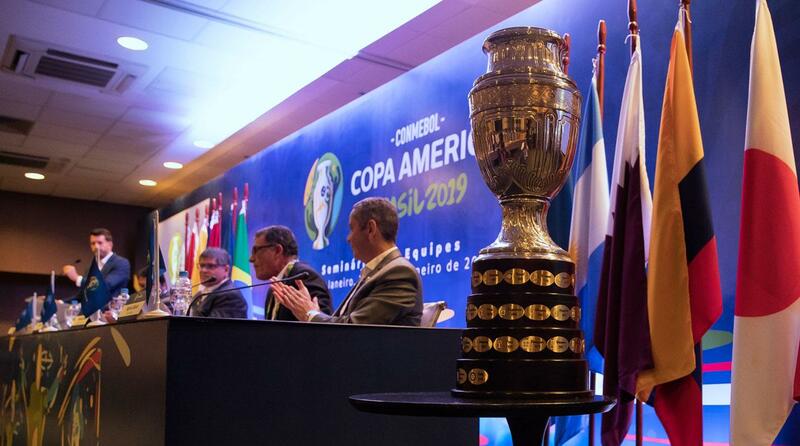 This entry was posted in Copa America Special, General Details and tagged Copa America 2019, Copa America 2019 details, Copa America 2019 fixtures, Copa America 2019 group b, Copa America 2019 Live streaming details. Bookmark the permalink.